I know many of you are still recovering from the busy spring tour season while many others are already vacationing in locations around the world. As we all get our lives back in order, it’s time to focus once again on our career as guides while focusing on the Guild and its mission. This month the board will reach out to tour operators who hire DC guides but have yet to join the Guild. We will mail letters of invitation which will include information about the Guild, its experienced guides, and the many benefits of Affiliate membership. Those who join before mid-October will be invited to attend our Job Fair on October 23. The board has scheduled a strategic planning meeting in early October. The last such meeting took place in October 2014. Thanks to Carla Smith’s diligence in maintaining Guild records during her tenure as 1st Vice President (2014-2015), we have the Guild’s strategic planning material dating back to 2004. This material will assist the board in identifying the Guild’s future priorities. But, we need your help. If there is an area in need of improvement that you believe the board should prioritize, contact Corky Rainey (1st VP) or Bill Adams (Administration & Ethics) who are serving as co-chairs for this meeting. Many thanks to Jim Carr, CMG co-chair, for introducing the Guild to the Osher Lifelong Learning Institute at our July business meeting. I suspect many Guild members will take advantage of this wonderful learning opportunity. We have Carol Wilken to thank for the location of our next business meeting at the Museum of the Bible. I hope to see many of you there on August 14. Beginning Saturday, September 1, 2018, the Guild will no longer accept payments for activities, dues, insurance premiums, etc. via PayPal. From that point forward, your only payment option will be to enter credit or debit card information when completing yourregistration(s). The vast majority of our members currently use this method to make payments rather than PayPal. We are making this modification to enable a more simplified, automated bookkeeping process. If you use PayPal for making Guild related payments and have questions or concerns about the elimination of the PayPal option, please contact Bill Adamsor Tammy Belden. 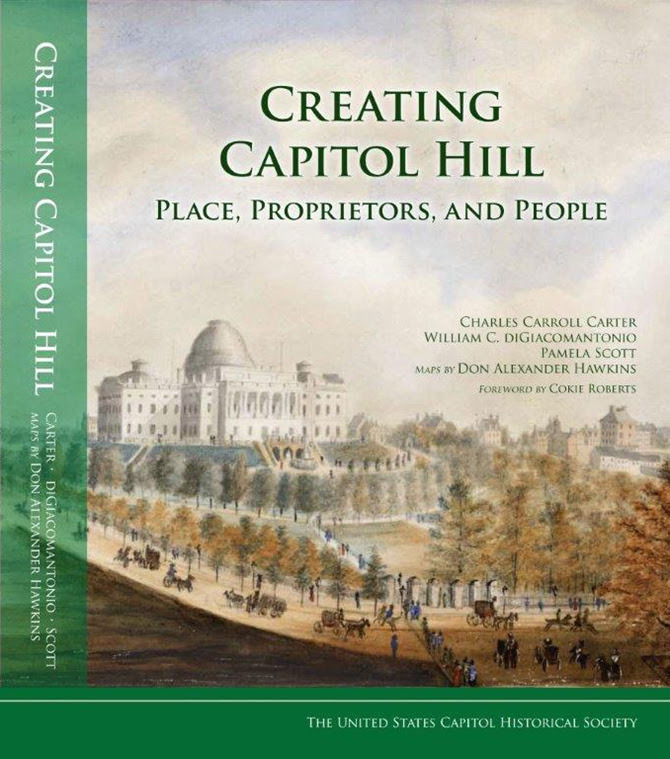 Be the first to take a tour based on Creating Capitol Hill: Place, Proprietors, and People, a book just published by the U.S. Capitol Historical Society. Guild members are invited to attend a demo of this new tour to elicit our feedback before the tour goes live to the public in September. 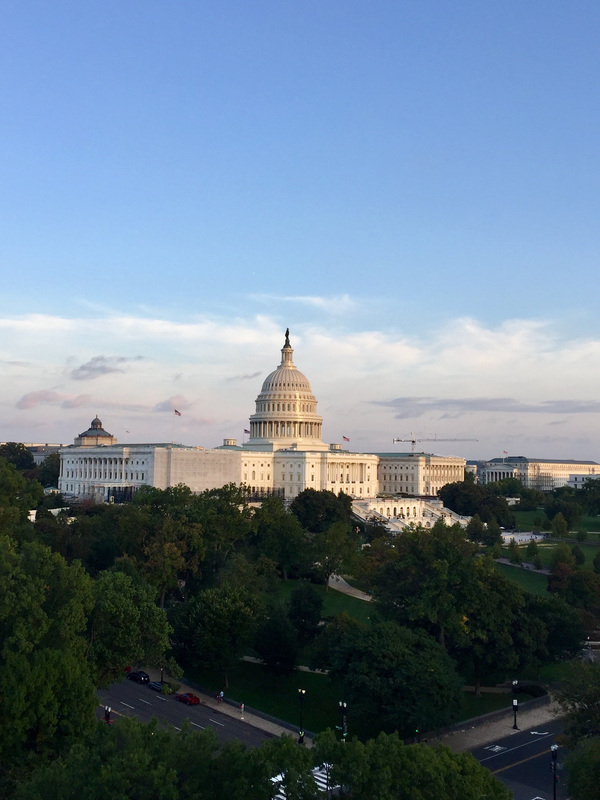 Steve Livengood will lead the tour, sharing stories about how the Capitol Hill neighborhood evolved between 1791 and 1820, as revealed in the book. This event is free to Guild members and reservations can be made on the Guild website. For further information contact: Chris Bauer. Certified Master Guides and CMG candidates have a unique opportunity to get an overview of the World Bank and learn about its mission, structure, and leadership, and to find out about its challenges in international development. Presentations will be followed by Q & A and discussion. 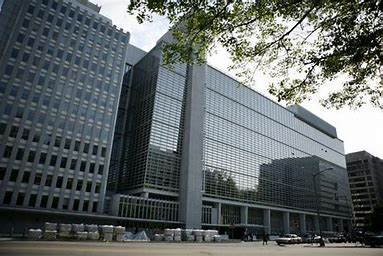 Following the session we will have lunch at the highly regarded World Bank cafeteria. Register online.For further information about this Certified Master Guide program contact Jim Carr. The first half hour will be for registration and networking. During the business meeting museum staff will provide an overview of the museum and group visit procedures. A representative from the White House Historic Society will be speaking about a new app that describes the rooms visitors see during a visit to the White House. There will be an opportunity to tour the museum after the meeting and have lunch at the Manna Restaurant or the Milk + Honey Cafe. Museum of the Bible is located two blocks south of the National Mall nearest the National Museum of the American Indian. The closest Metro station is Federal Center SW on the Blue/Orange/Silver lines. Turn left at the top of the escalator and an immediate left onto D St. SW. Follow D St one block to 4th St. SW, turn left and the museum entrance will be on your left. For further information contact: Maria Limarzi. 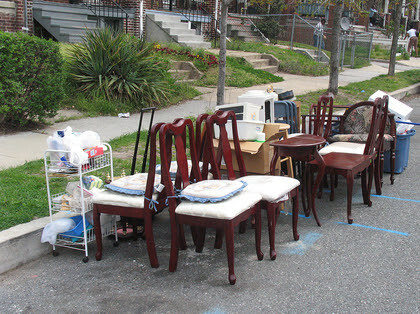 The National Building Museum announces a new, ground-breaking exhibition exploring the causes and impacts of eviction. In collaboration with Matthew Desmond, professor of sociology at Princeton University, a MacArthur Genius Fellow, and best-selling author, “Evicted” offers an immersive experience into the world of low-income renter eviction. With unique design elements and striking graphics, the exhibition challenges adults and youth to face the enormity of a difficult subject, while providing context and a call to action. Tour this special exhibit with curator Sarah Leavitt. Register online.For further information contactPat Abler. Certified Master Guides and CMG candidates can join us for a behind-the-scenes sneak preview of the new National Law Enforcement Museum. Register online. For further information contact: Shannon Mikush. 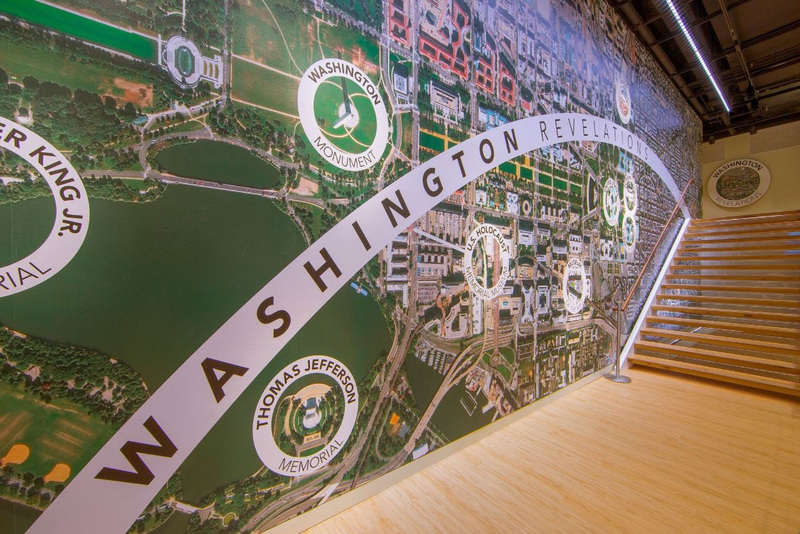 A special tour of the Baseball Americana exhibit of the Library of Congress will be lead by two of the Guild’s and the LOC’s All-Stars, Steve Kline and Bill Adams. 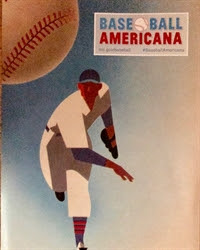 Showcasing pieces of history that cannot be found anywhere else, Baseball Americana celebrates baseball as community and explores the game’s gritty roots, its changing traditions and the game today. Register online or contactShannon Mikush. Please direct any question you may have to co-chairs David Shaw, John Days, or Corky Rainey. 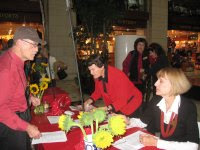 This event serves as an introduction to an upcoming World Federation Tour Guides Association Convention in Georgia in January, 2019. 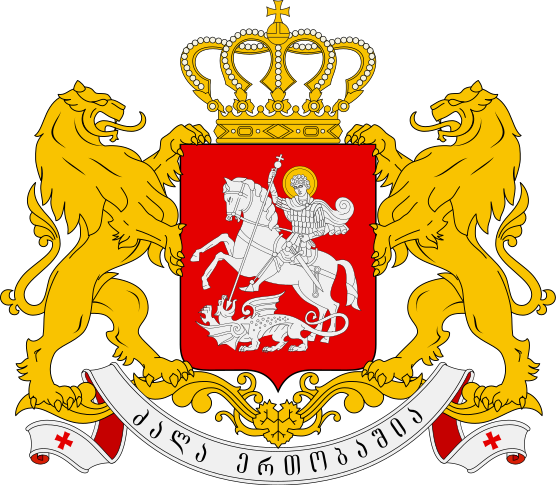 Georgian wine and light refreshments will be served. Please RSVP by September 10th. Networking and registration will begin at 9:30 am and the meeting will begin at 10 am.James Reston Jr will talk about his book, A Rift in the Earth: Art, Memory and the Fight for a Vietnam War Memorial.CVC staff will give a presentation on their procedures and several upcoming changes, including Exibition Hall closing in March for renovations. Save the date for this bus trip to the Flight 93 National Memorial. The final phase of the original design of the memorial has been completed and involved the construction of a 93-foot-tall Tower of Voices. The tower contains 40 wind chimes, each with a unique tone to symbolize the voices of each lost on Flight 93. Watch for registration notice on GuildGuides or check the online Guild calendar. For further information contact: Pat Abler. Guild member and member of the U.S. Supreme Court Bar Steve Kline will talk about how we can engage our 8th grade tourists on the steps of the U.S. Supreme Court. 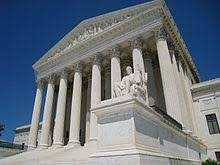 He will discuss Supreme Court cases relevant to students and how the cases apply to the daily lives of young people. Getting there: The Tenleytown – American University Metro stop on the Red Line is directly across the street from the library. Register for this education event online. The Job Fair event will follow the annual Arlington National Cemetery update in the morning.Location for both events is the Women in Military Service For America Memorial at Arlington Cemetery, same as last year. Registration is now available online.For further information see the Guild website or contactCorky Rainey,1st VP, orKaren Miller,Affiliate Representative. Recommendations and applications for membership in the Guild may be submitted to Barbara Longneckeror Jamie Johnson. Bonnie holds a PhD in Sports Management Business and is a recent I.T.M.I. graduate. She is already working giving student tours with three difference companies to include Gerber Tours. She comes to the guild with 20 years of teaching experience. Trained at George Washington University in Intercultural Studies, Steve led a 16- day international program studying civil rights to South Africa with 60 students. He completed Maricar Donato's intensive summer guiding course in 2018. He became licensed in 2018. He is also certified as an Intercultural Trainer. Laurence is a R.N. and accomplished photojournalist who completed a photo essay on the history of Georgetown. She is fluent is French and conversant in Spanish. with special knowledge of Art History and the History of Photography. She completed the Professional Tour Guide Program in 2017 and has been volunteering in a school and the neonatal intensive unit at Georgetown Hospital. Susanne is a 2017 ITMI graduate. Her professional experience includes being a flight attendant (7 years), travel agent (4 years), conference hostess/hotel front desk (3 ½ years). She is from Sweden and is fluent in several other languages. Gregory holds a J.D. and completed Shannon Mikush’s “Become a tour guide” course in 2017, and comes with her recommendation. He worked in the federal government for more than ten years and speaks and taught French. Diane is a tour guide/tour director and 2016 graduate of ITMI. She works for EF Explore America, Gerber Tours, and New Market Holidays. 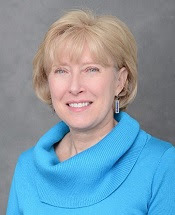 She has attended educational conferences and other professional development seminars. She is a member of Toastmaster's in Johnstown, PA. She does student and adult tours throughout the Eastern Seaboard. Paul is a retired IT professional and completed Maricar Donato's Tour Guide Training in the fall of 2017. Josh has been guiding part time through his years in college and is now a full time guide known for his energy and warm personality. He was licensed in 2012. April was a Tour Guide Supervisor with City Sights (2016/2017) and is currently a DC guide with Signature Tours. Before that she was an Assistant Store Manager at Staples. Julie graduated from IGA with her tour director certification in 2015; she is also a graduate of Maricar Donato's training in 2014. She currently works for Mid-Atlantic Receptive Services and Travelsphere. She attends educational and professional development conferences and lives in Richmond, VA.